Short stories on virtualization, clouds and other technologies based on personal experiences and opinions. 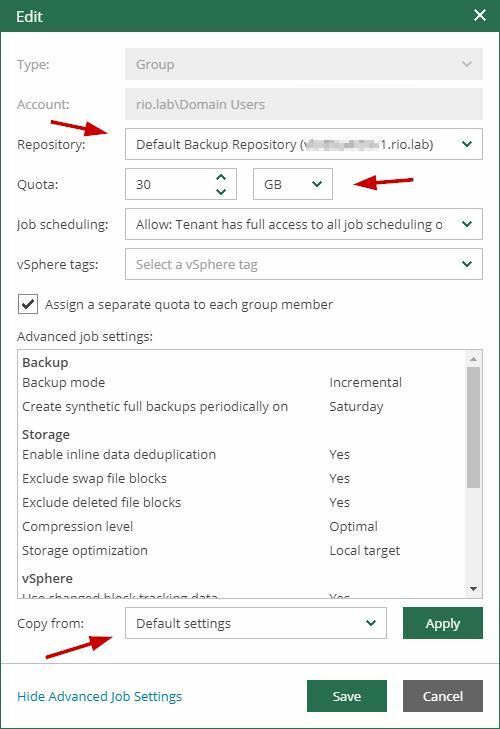 One of the cool features that Veeam Backup & Replication 9.5 Update 4 comes with is integration with vCenter Server role based access. What does it mean? 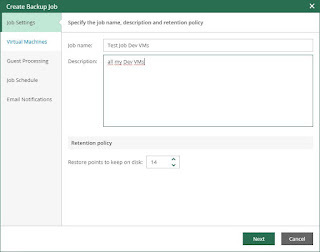 It allows to delegate permissions to users and groups in Veeam Enterprise Manager based on their permissions in vCenter Server. 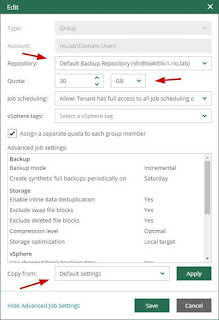 A user or group of users is now able to monitor and control the backup and restore of their own VMs in a vSphere environment based on a predefined policy. 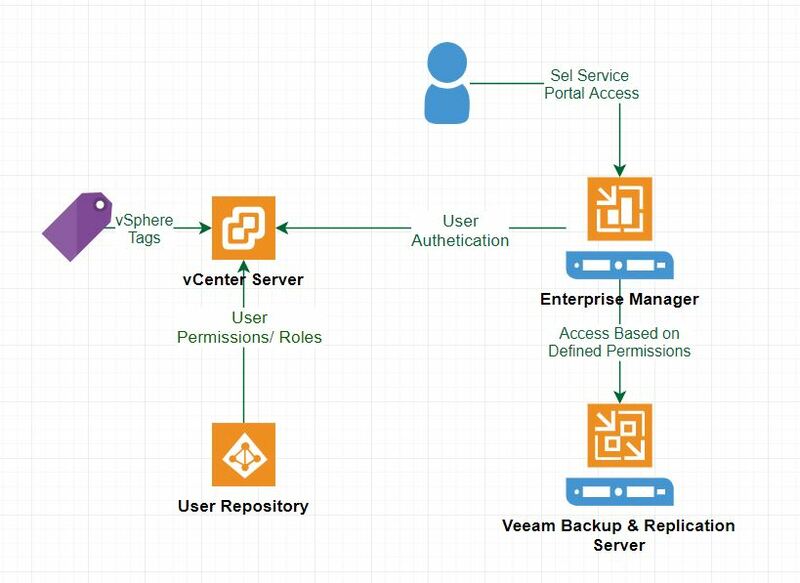 A policy can be defined through vSphere tags, a role in vCenter or as granular as a single permission in vCenter Server. Delegation is done through the self service portal in Enterprise Manager. Cool thing is the integration is actually extending vCenter Server access control by adding vSphere tags as control mechanisms. For example DBA's want to do their backup and restore, then just assign a tag to the VMs and create the policy in Enterprise Manager. It's that simple. Since my environment uses tags, we will test the following scenario: all developers will have access to development VMs which are tagged with "SLA3" vSphere tags. 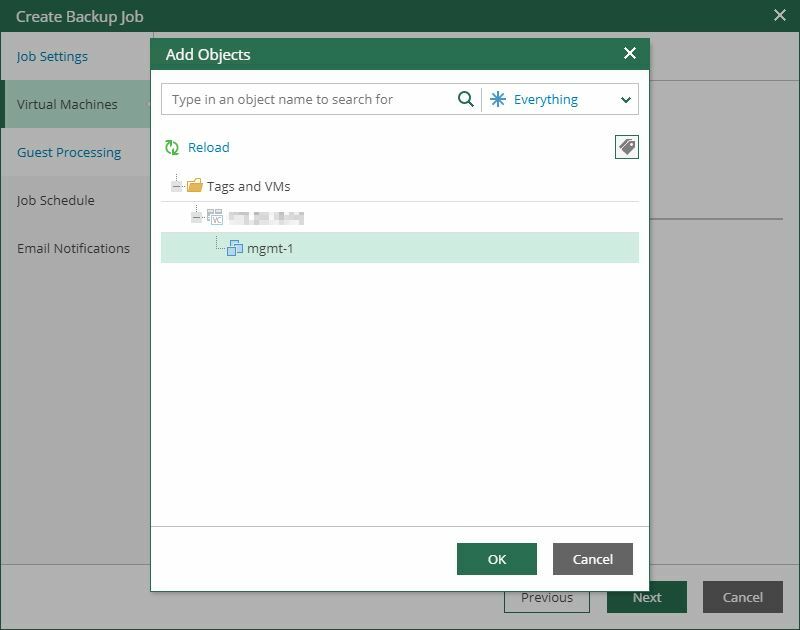 First, make sure tags exist in vCenter Server and are assigned to the VMs in scope. 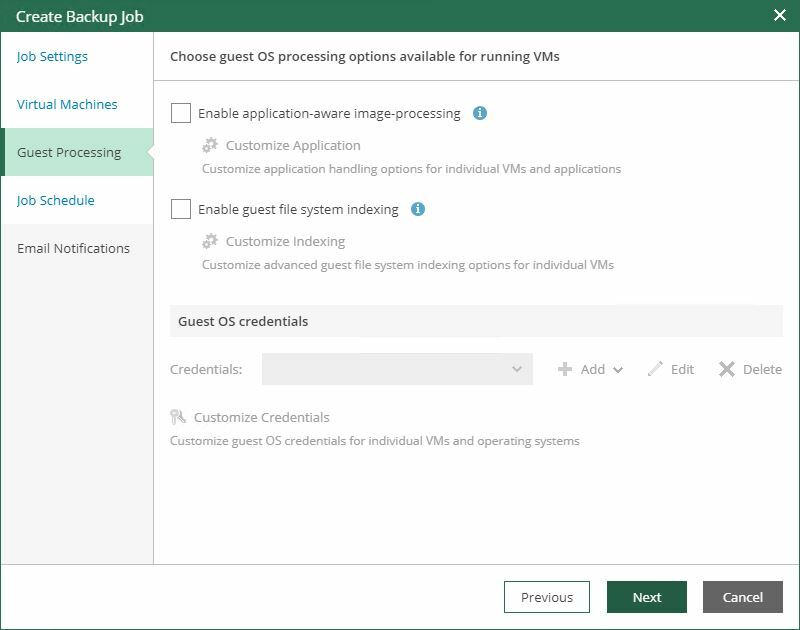 Next, you need to install and configure VBR and Enterprise Manager (EM). This is not in the scope of the current article. Once EM is installed and configured login to the EM portal (https://em-address:9443/) and go to Configuration. 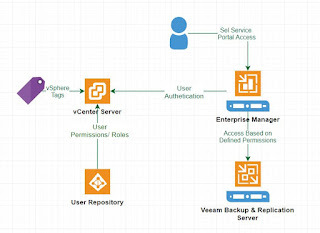 Check VBR and vCenter Server are available and reachable. On Self Service tab you will see the default configuration for all Domain Users group (my lab is AD integrated). For the test we will create a new configuration. 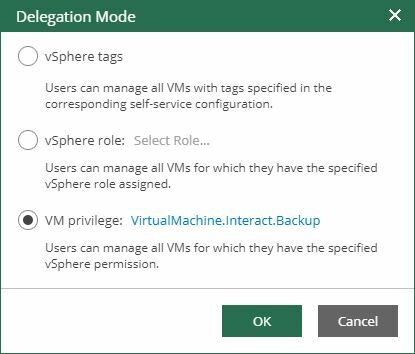 By default, it uses VM privilege and the selected privilege is VirtualMachine.Interact.Backup, but you can choose to use any privilege available in vCenter Server. 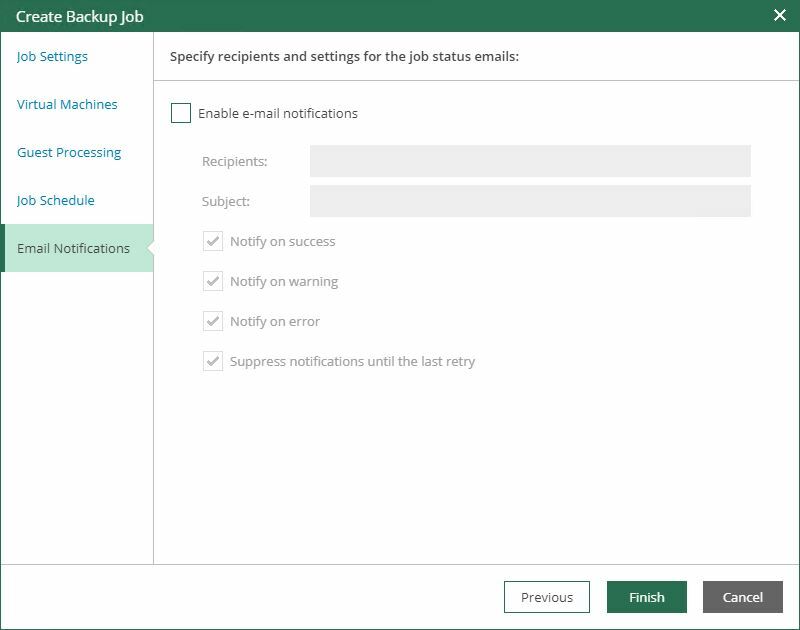 Once you need more flexibility, you can define roles in vCenter Server and use the delegation based on those roles (a set of privileges applied to an object). Finally, you can use vSphere tags and allow access based on the tags. Once the preferred method of delegation is chosen, it will apply to all self service configurations. So be careful when changing the method. 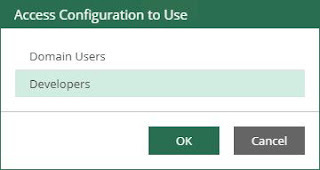 Now open, the default self service configuration and let's take a look at it. We see it assigns a repository and a quota on that repository. The quota can be global (for all users in group) or individual (per each user). 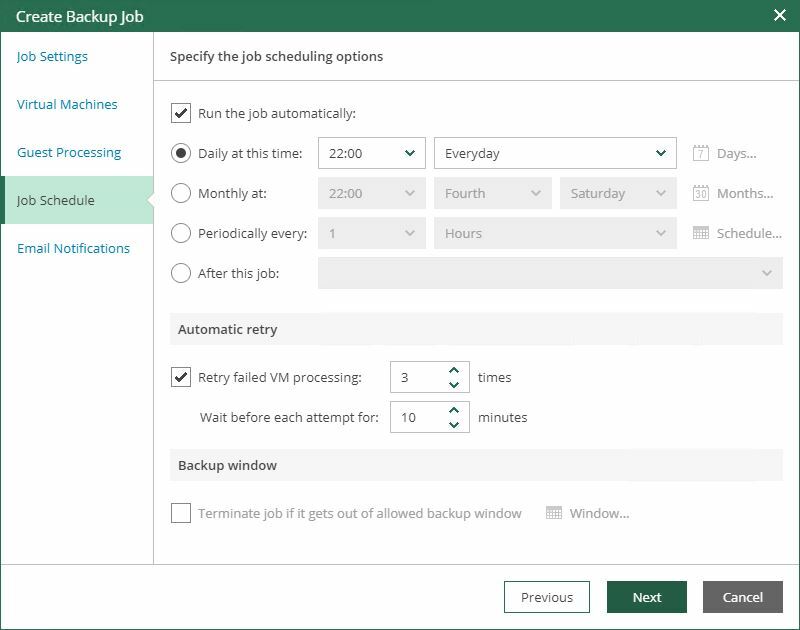 You also define the default settings for advanced job settings such as compression , deduplication, scheduling of full backups and so on. 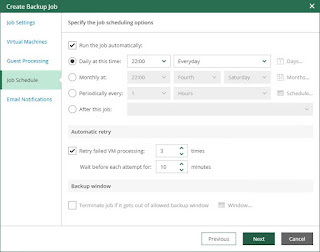 The settings can be copied from Veeam default or from an existing job. 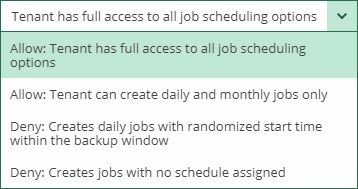 There are 4 job scheduling options available from allowing full access to the scheduler to no access to the scheduler. We will use the default one (full access to job scheduling). Choose wisely what you want your users to do. vSphere tags drop down list appeared because I chose the Delegation Method as vSphere tags, but it's left empty. Then add the VMs you want to backup. 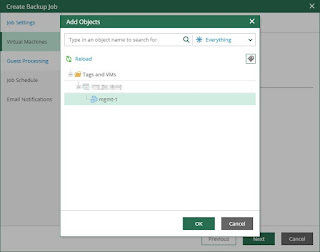 Only VMs with SLA3 tag will be displayed. You'll notice the running job named with the following convention: Domain\GroupName_Domain\UserName_JobName. So, all is good and running smoothly. 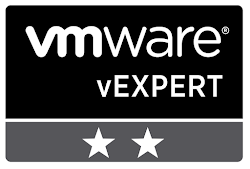 There you go, just had a user define a backup job and backup its own VM using a simple vSphere tag and no other settings at either vCenter Server or VBR level. Next time we'll take a look at restore options.